World Vision is working in all three Northern Triangle countries to help children build their capacities to protect themselves and others. We are deeply concerned for the health and safety of children and families fleeing the violence in Honduras and urge that measures are taken to appropriately care for these children while they are on the move. A mother and daughter in Jamastran, Honduras. ©2018 World Vision, photo by Jon Warren. This week, an estimated 4,000 migrants fled Honduras in a desperate attempt to escape poverty and violence and seek new lives elsewhere. Many of those traveling in the caravan are children—some traveling with their parents and some without. Sadly, the countries of the Northern Triangle—El Salvador, Guatemala, and Honduras—continue to be plagued by endemic levels of crime and violence that have made many communities extremely dangerous, especially for children. Over the past five years, growing issues of violence, organized crime, and corruption in Latin America have increasingly made many areas in the region unsafe places for children and youth. More than a third of all Latin Americans reported being a victim of violent crime in 2016. The region is home to just 8 percent of the world’s population, but 33 percent of its homicides. As a result, children do not feel safe at home, at school, or in their community, and the situation can begin to feel hopeless for them. Families exposed to violence might see no choice but to flee, which could also be unsafe. Without a safe space—whether at home or in the community—children and youth may be forced to seek protection on the streets, where they are at risk of recruitment into or violence from criminal groups and gangs, or to leave violent situations within their community and migrate. For both children that flee and those left behind, the violence they are exposed to can have devastating consequences on their health, development, and well-being. Our vision for every child is life in all its fullness. This means a life free from fear, a life where children feel cared for and protected in a loving family environment, and a life where children and youth have hope for their future. World Vision is working in all three Northern Triangle countries to help children build their capacities to protect themselves and others. 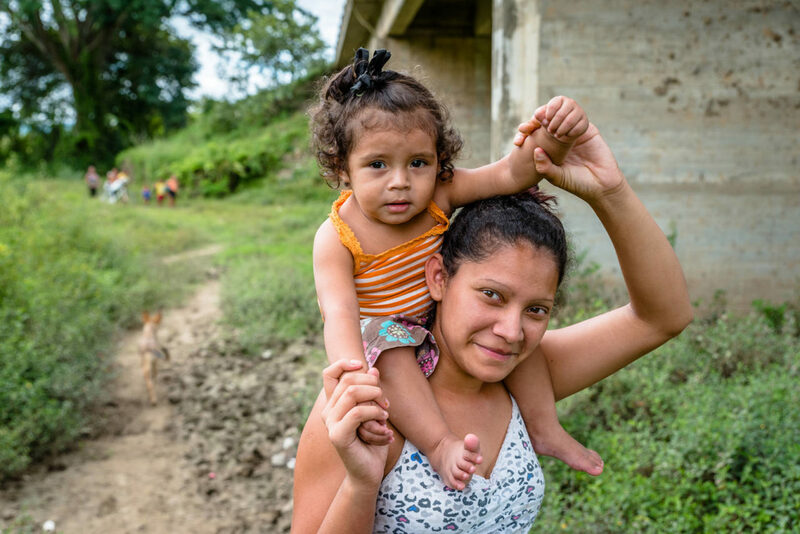 Because World Vision works in hundreds of communities in Latin America, we understand the violence and sense of hopelessness that is driving families to leave their homes. As Christians, we are called to love and serve the most vulnerable among us, to welcome the stranger, and to show hospitality to those in need (Matthew 25:35). While World Vision supports immediate, emergency needs of migrants in our program areas, we do not encourage families to migrate. We are deeply concerned for the health and safety of children and families fleeing the violence in Honduras and urge that measures are taken to appropriately care for these children while they are on the move. Our hope is that by addressing the root causes of poverty and violence across Latin America, we can prevent unsafe migration from happening in the future and protect children from the violence and trauma they may encounter at home or along the way. ASK: The U.S. Government must continue to put the needs of vulnerable children first with a long-term solution. To address violence against children and unsafe migration sustainably, the U.S. must continue to address root causes through foreign assistance. U.S. foreign assistance should not be used as a tool to penalize the home countries of migrants, but should instead remain focused on improving the lives of the most vulnerable so that children and their families may safely remain home. Additionally, the U.S. government must maintain the protections for children and families arriving in the U.S. These protections ensure that child migrants receive appropriate care in the least-restrictive settings possible.